Is City Honda Pakistan Bringing another Honda Facelift in 2019? In 2017, Honda Pakistan introduced its first new facelift model of Honda City for its consumers in the country. The company showed its teaser images on the official social media pages in July 2017 with some catchy messages. The most popular and famous social media message among them all was “Accelerated Perfection” and this line was shared in the image which showed “Shark Fin” Antenna. Craze and excitement were quite high as every Honda City fan were making different kinds of predictions what the teaser could be. All of our dreams were shattered and it was nothing more than in an Urdu term that “khoda Pahar nikla chooha”. 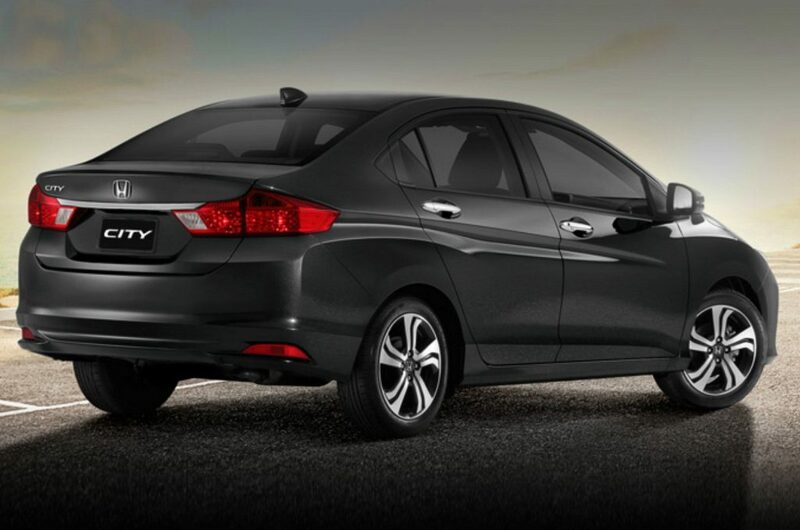 The company just made some minor visual changes to the Honda City and the company called it a facelift model Honda City. 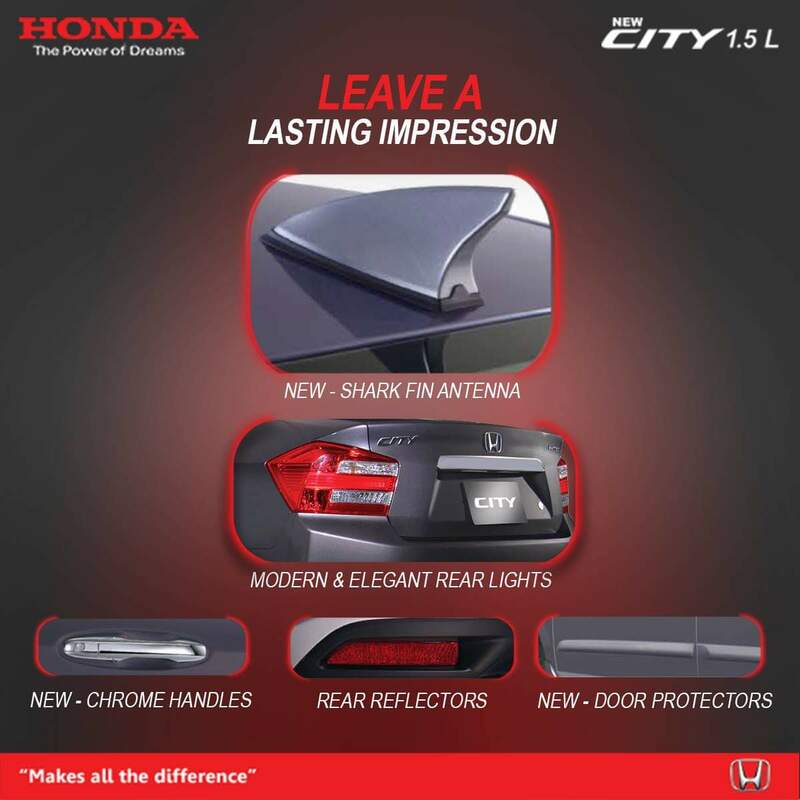 Well, now the time has changed and Honda Pakistan has shared another teaser this time with a message “Leave a Lasting Impression” on their official page. The tagline is indeed impressive, but the image is not so attractive. Yes, it is possible for Honda Pakistan to introduce a new visual update of Honda City 2019, God knows what this model will be called this time. Honda will be adding a new Sharkfin antenna, but we don’t know what was wrong with the current one. Moreover, there will be new door protectors, new chrome handles and new rear bumper reflectors. However, new and attractive headlights and taillights are also expected to be introduced in the new facelift model of Honda City. Honda City 2019 price in Pakistan is also yet to be confirmed by the Honda Pakistan officials. Though, as per the rumors in the automotive industry regarding Honda City 2019, the price is that it will be around Rs.18,00,000. After going through the comments section on the social media page shows that the response from the Honda City fans is not so new and the reason is the same word NEW has been used many times by the company before and nothing NEW is shown. However, in 2019 the company is expected to call the new Honda City the new Honda City Facelift. It certainly is not a bad car, but now Honda Pakistan has made it a cash cow and is making money every single day since 2009, but time needs changes as well. Well, now we have to wait till next year and see what really Honda Pakistan has in the bag for its Honda City fans across the globe.